Ever done Moon Salutations? They are a wonderful alternative to Sun Salutations that are practiced on the New or Full Moon. 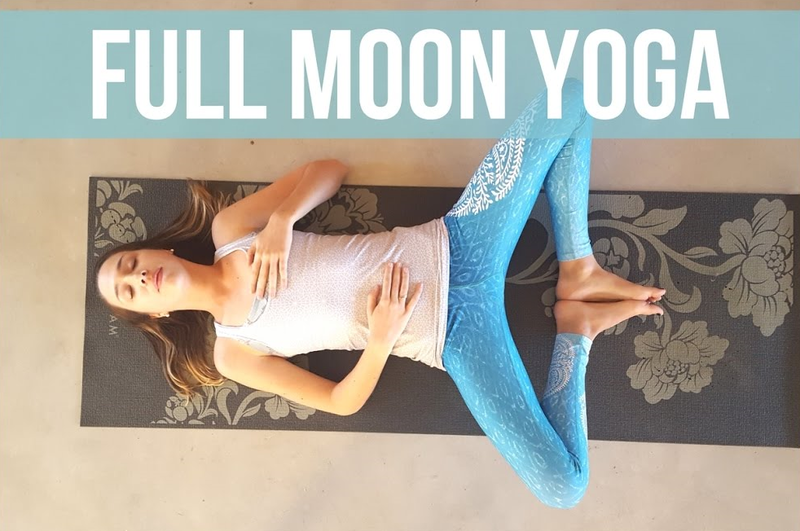 In my latest free youtube yoga class, I take you through a 40 minute flow meant to honor the full moon as a gratitude practice. I've always enjoyed syncing my yoga practice with the phases of the moon as a way to deepen my intuition, set goals and release negative thought patterns. If this is something you'd like to learn more about, CLICK HERE. If you'd like to try this Full Moon Yoga class for yourself, CLICK HERE. The great thing about Moon Salutations is that they don't include any chaturangas or classical vinaysas making it great for achy wrists and elbows!